These DIY tips can help you get started with cleaning the gutters. Most accidents happen due to improper usage of ladders. There is nothing risky about the job if you know what you are doing. Use a stable ladder that can hold your weight. Always make sure the locks are in place if it is a movable ladder. Avoid using ladders that are old and have a person stand by your side while you climb up. Use thick gloves and protective goggles while you are at work. Sharp metal sheets or nuts can create cuts while you slide your hands down the gutter. The gutter is full of leaves, small wooden chunks, and dust and is better to cover your eyes with a protective gear. Once you are all protected, the next step is to blow out the debris through the water. Before you do that, get a plastic or metallic scoop to remove the debris from the gutter. 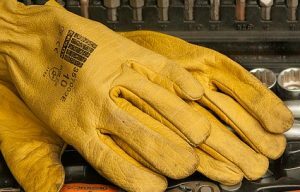 Make sure your gloves are thick enough for the job as you can easily cut your hands if they are not protected. Connect your garden hose and start flushing water through the gutter. If your hose does not produce enough force, buy a pressure washing system to do the job properly. 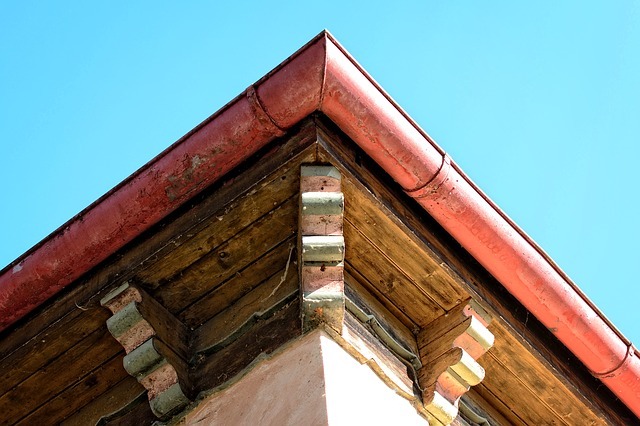 Once you are done with the gutter, make sure the downspouts are clog free. Downspouts are prone to clogging with smaller twigs and leaves. Drain the downspouts with water at full pressure. If the water flows down, then you can be assured. Tapping the spouts gently can clean the remaining debris from the pipe. If water clogs and returns back to the gutter, then remove the downspouts and clean it from the bottoms up. While placing the waterspouts back in position, fix a wire mesh on the nozzle so the debris doesn’t get clogged again. Make it a habit to clean your gutter once or twice a year. If you have trees around your house, then you may need to schedule a maintenance more often. Cleaning your gutters regularly also avoids corrosion problems. Use of plastic gutters can be better in terms of maintenance as well as safety issues are concerned.